Graphic Design III is intended to be a continuation of the work begun in Graphic Design I and II and at its heart is about the skillful interaction of text forms and images into cohesive, clean designs. The focus of your work this semester will be on creating a personal, professional web site which will showcase your resume, creative images from your portfolio as well as a statement about your goals as a designer. You will take it live to the internet using an ftp client. You will get your own domain name and learn to update and maintain your website. -Plan a Web site design based on the function and content of the information to be delivered. Extend that understanding to helping solve client needs in the future. -Create a site map that visually shows the plan of each page in your site and how the architecture of the site is conceived. -Develop user-friendly pages with bandwidth-saving techniques and clear navigation systems. 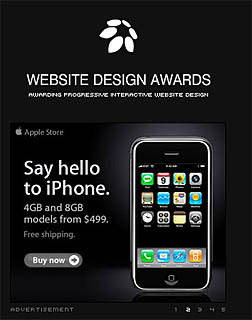 -Integrate prior graphic design experience to the Web site design. ADOBE TV Dozens of Videos from Adobe on using Dreamweaver. Term Assignment. Develop a comprehensive personal website which promotes you and your visual portfolio work you have done to date at Albertus. Include an About Me page, Resume and Gallery page with links out to individual pages of images. Attend all classes, care about your work, make progress in the medium, help and cooperate with your classmates, take risks, make mistakes. Your grade will be based on your willingness to achieve the above as well as a portfolio of 10 pieces due at the end of the semester. A maximum of 3 absences is allowed, with or without a valid excuse. After that your grade will drop. Any mass market bookstore will have numerous Photoshop titles for sale in the computer section. Although not required you may want to pick up a book that fits your budget an learning style to have as a reference. Niederst, Jennifer. Learning Web Design: A Beginner's Guide to HTML, Graphics, and Beyond. Sebastopol, CA:O'Reilly, 2003.